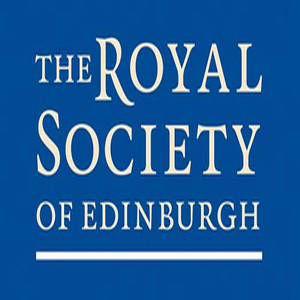 Six academics at the University of Aberdeen have been chosen to be among the first members of the The Royal Society of Edinburgh (RSE) Young Academy of Scotland. This exciting development is the first of its kind in the UK and will be part of a growing movement of Young Academies across the world. The six are Dr Lisa DeBruine, Senior Lecturer in Psychology, Dr Mirela Delibegovic, Research Fellow in the School of Biological Sciences, Professor Tom Greggs of the School of Divinity, History and Philosophy, Dr David Lusseau, Senior Lecturer in the School of Biological Sciences, Professor Craig Ramsay, Programme Director with the Health Services Research Unit, and Dr Jane Reid, Senior Research Fellow in the School of Biological Sciences. The RSE has established the Young Academy as a unique opportunity to bring together some of the most able and innovative young academics, entrepreneurs, artists and professionals in Scotland. Every year a new round of applications will be encouraged, bringing in a new cohort of members. The average age of the first group of members of the Young Academy is 36 and over and 40% are women. They cover a very wide range of expertise from biologists, geoscientists and engineers to lawyers, social scientists and entrepreneurs. There are members from all parts of Scotland, as well as those originally from elsewhere in the UK or other parts of the world. A rigorous selection procedure resulted in 68 young academics, entrepreneurs and professionals being chosen to be the first members in Scotland. The Young Academy will be launched at a ceremony in Edinburgh in November. Members were selected from over 300 applicants. The Scottish Government Cabinet Secretary for Education, Michael Russell MSP, added his welcome to the announcement saying, “The new Young Academy is supporting the talent of the future, exposing our best young people to the experience and expertise of the RSE Fellowship. It provides the ideal forum for talent in science, engineering and the arts to mix with each other as well as supporting research excellence.